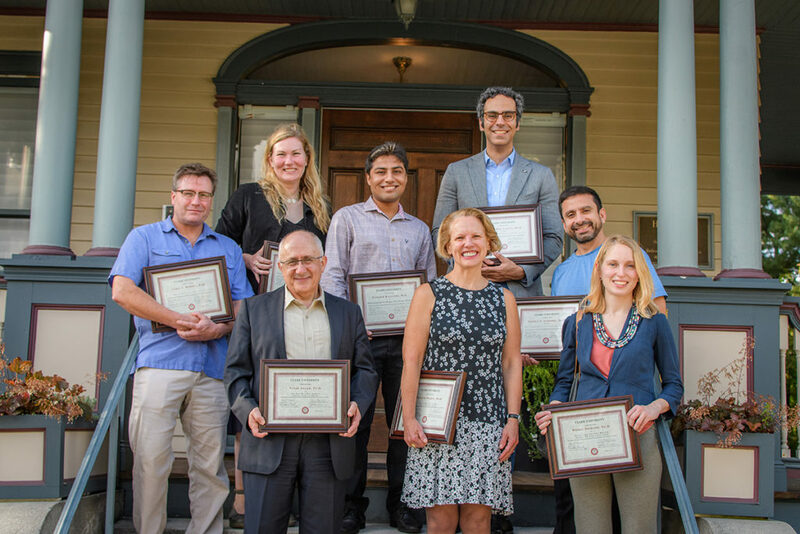 Receiving faculty awards this year are, front, from left, Taner Akçam, Deborah Merrill, and Weibke Deimling; back, from left, James Murphy, Karen Frey, Pankush Dalgotra, Amir Babak Aazami, and Esteban Cardemil. Clark University again has recognized its outstanding faculty in the areas of teaching, advising, and research excellence. The annual awards were presented during a recent reception at Harrington House.